We keep convenient hours with you and your pet in mind. You can count on us to be open 7 days a week year round including holidays with specified AM/PM drop off and pick up times. • $30.00/per night--Dogs: Discount~2 dogs per run--1 dog regular price, 2nd dog 1/2 price. • Please note: pets dropped off between 8am and 10:30am will be charged an additional $30 for the day. If paying for the day you may drop off the night before for the same price, please let us know with reservation. • Please note: pets picked up between 5pm and 6:30pm will be charged $30 for the day. If paying for the day you may pick up the next morning for the same price, please let us know with reservation. FYI - Department of Agriculture requires that all dogs be licensed. If you bring a pet bed, be sure your pet's name is on it. All beds must have a zip off washable cover, no loose stuffing inside, no raised sides or couch beds. Flat mats are fine. No afghans. Blankets are acceptable if newborn size. Beach towels and bed pillows work well, too. Floors are heated and rest assured the kennel is very warm in the winter. Your pet is welcome to use our beds at no charge just let us know, all beds are washed daily. The PA Department of Agriculture requires us to keep a "Rabies Vaccination Certificate" as proof of vaccination. Your veterinarian should provide this upon request when your dog receives his/her vaccination. We will accept a rabies shot record with date given and date due, but a "Rabies Vaccination Certificate" is preferred. We must check shot records upon check in. If shots expire, there is a 10 day waiting period before a dog can be boarded (including any boosters). 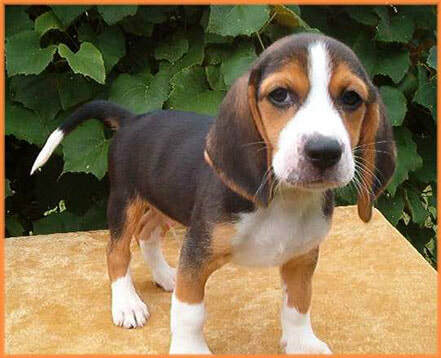 We cannot take your pet without a current shot record as it could risk illness to other animals. Please feel free to call us and ask if our copy of your shots record is up-to-date or if you have any other questions. Note: You may email or mail shot records to us. You will receive a confirmation from us that we have received your records. If a confirmation is not received, please follow-up. Kennel stays can be stressful and switching food can sometimes add unnecessary intestinal problems. So to insure your pet's stay is comfortable, we ask that you bring your pet's brand of daily food. Due to limited storage space, please bring just enough for the stay. Food should be stored in a plastic container. 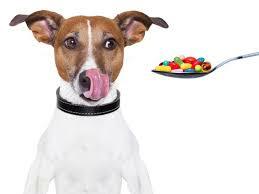 We will monitor your pet's appetite and will take measures to ensure your pet is eating. Milkbone snacks are provided. There is no additional charge for administering medications unless needed off hours. Please call ahead to discuss if off hour meds are needed. Please provide pills in a case. If staying for 2 weeks this would require two pill cases labeled with name, dates, & dosage. Be sure your pet is "Flea Free" prior to his/her stay by using a product such as Frontline or Advantage 2 weeks prior to their stay. • "A Bark in the Park"--$30 for a 30 minute walk; weather, staffing and behavior permitting. Must be made with reservation. * Pet Parlor: click to see services available. We welcome visits if you would like to visit our kennels prior to booking your pet’s stay. We ask that you arrange your visit beforehand so that a staff member will be available to show you around. Pups are welcome too but must bring proof of shots. What if my pet takes medication? We are happy to give your pet the meds they need. Please provide pills in a case. If staying for 2 weeks this would require two pill cases labeled with name, dates, & dosage. How do you prevent kennel cough? What if my pet has an emergency while I'm gone? We ask that you provide an emergency contact person that will be able to take your pet to the vet if necessary. All pups out to potty with individual one-on-one attention 4-6 times daily. Due to safety risk, your pup is never out with any other pup except the ones from your family. Your pet is always supervised by a trained staff member and never left alone. Indoor runs equipped with heated floors for winter, air conditioned for summer. Outdoor runs 20ft in length, partially covered and separated by block for privacy and less stress if nervous. We take extra steps to make sure your pet is clean, happy, and active. If you would like to visit our facilities prior to booking your pet's stay, we are happy to give you the tour. Please call in advance for an appointment.